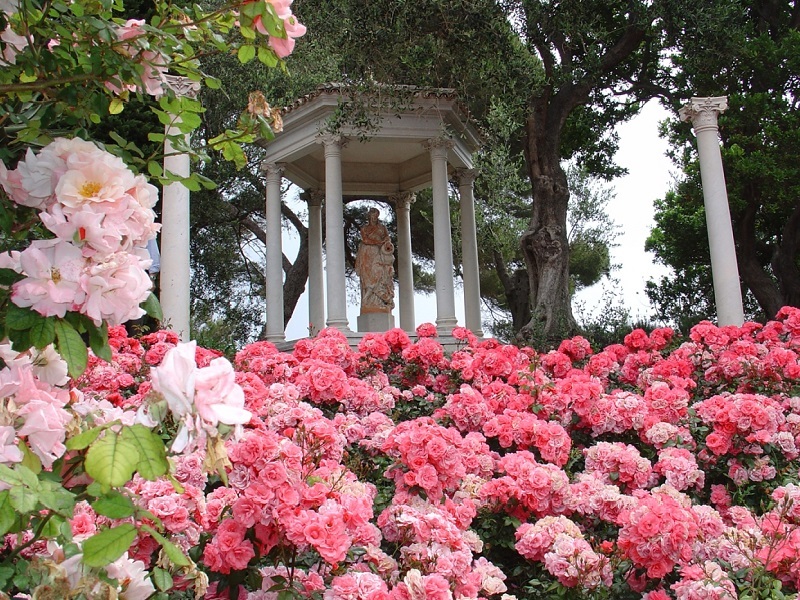 On May 4th and 5th, rose growers, nursery gardeners and garden professionals organize a rendezvous in the Jardin à la Française (French-style garden) of the Villa Ephrussi, where their finest flowers and plants are displayed for garden lovers. Novice or more experienced gardeners are all welcome to come and take a stroll amidst a variety of ancient and contemporary varieties of climbing roses and ground cover plants. Alongside the rose growers and their colorful stands, other professionals are invited to place their stands in the alleys of the Jardin à la Française, where they will present rare plants, and exotic and Mediterranean flowers, irises, and citruses.